When better attachments are made…MDS will make them. MDS makes the loader better! 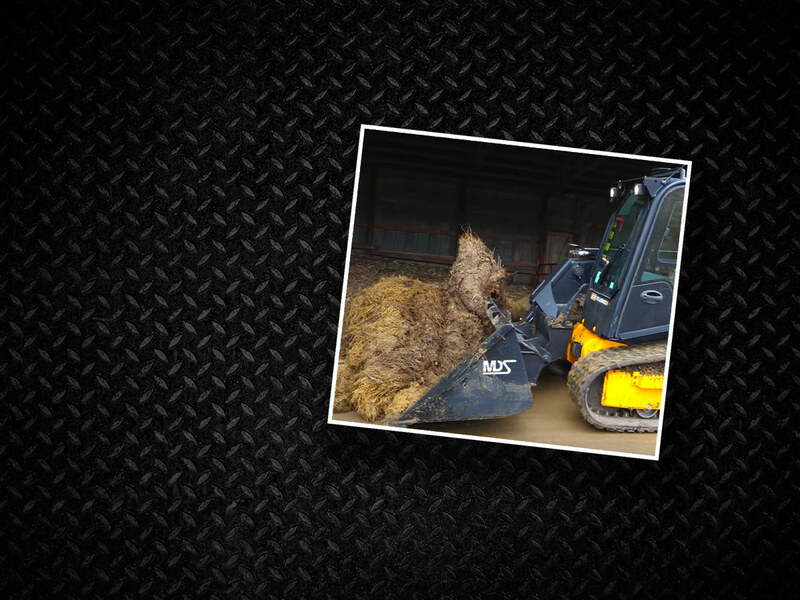 MDS Buckets and Grapples will add value to your loader and help you get the job done quicker. Check out our dealer locator today or just give us a call. Your One Stop Bucket Shop! Call a Bucketologist today! MDS is your #1 source for tractor and loader buckets and attachments. Call us with any questions at 800-658-4703. Looking for your local MDS Attachments dealer? Use our dealer locator to find the MDS dealer near you. MDS will close at noon on Friday, April 19, 2019 for Good Friday. We will reopen at 8am on Monday, April 22, 2019. 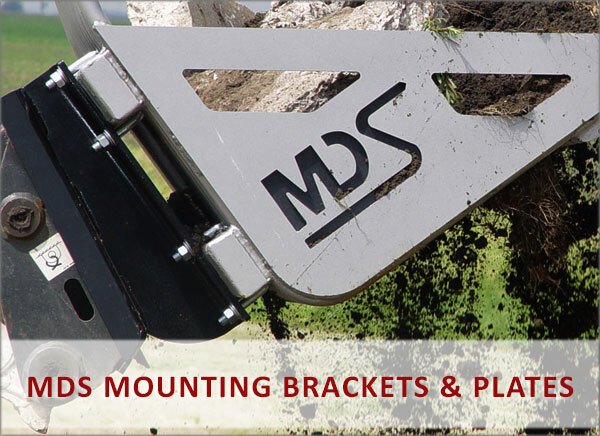 MDS is the premier manufacturer of buckets and attachments for all major tractor and loader brands. Our products are engineered and designed for quality, convenience, reliability, versatility, value and safety. 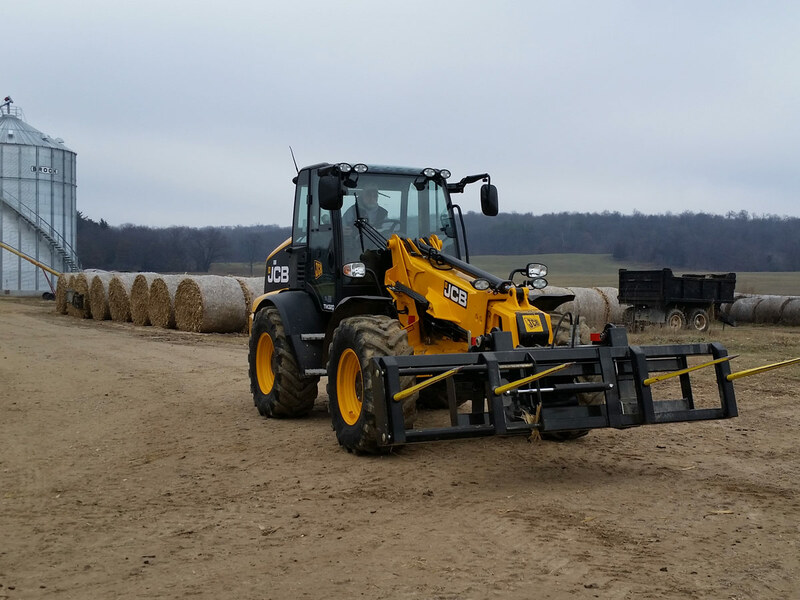 For over 40 years we have been listening to our clientele and working with them to provide products that improve their tractor loader needs. Construction work site, farm, ranch, dairy, feedlot, forestry, landscaping and governmental… MDS proudly serves them all. 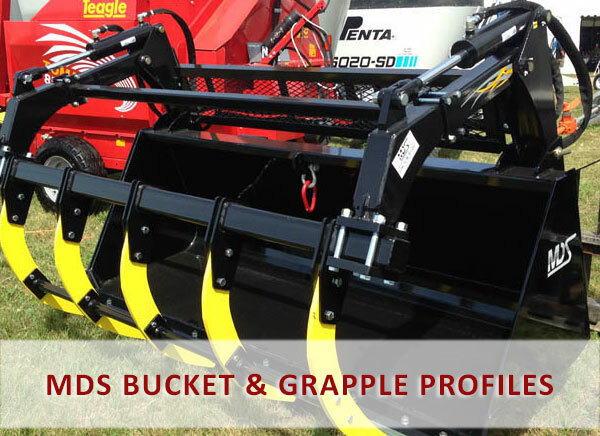 View MDS Attachments bucket & grapple profiles with detailed dimensions and measurements for tractor grapple attachments for all majors brands. 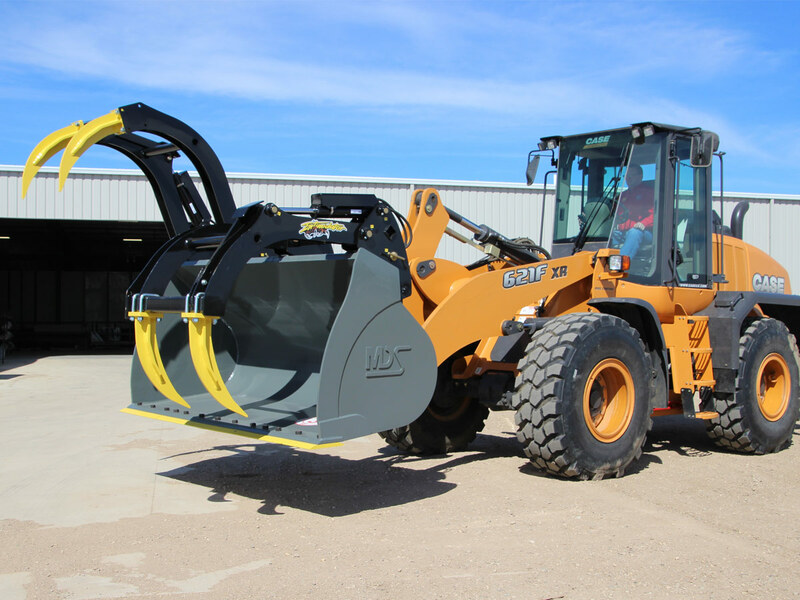 MDS is the premier manufacturer and supplier of new buckets and attachments for the skid steer, tractor loader, telehandler and wheel loader industry in North America. 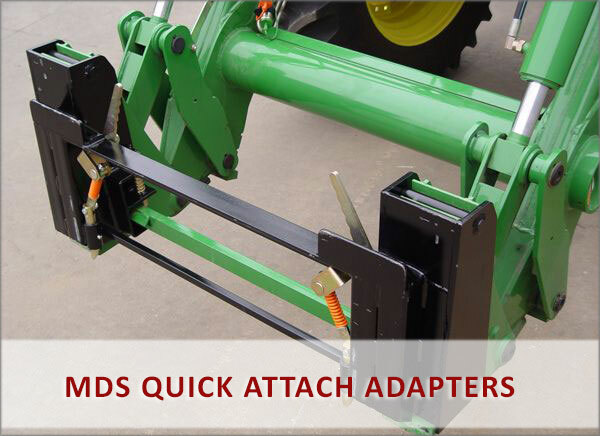 ADAPT-A-TACH universal quick attach adapter plates allow any loader to pickup any Skid Steer, Euro / Global or John Deere Classic-Tach attachments. Want to add MDS Products to your dealership? Contact a MDS Manufacturing sales rep in you area today.